- Ph.D. in political sciences, University of Manchester, Britain, 1995. - Diploma in conflict resolution, University of Uppsala, Sweden. - Assistant professor at Al El Bait University, Bait Al Hikma Center for Political Sciences (for higher studies only), 1995-1998. - Assistant professor, the Hashemite University, October 2000 - present. - Founder of the Academic Center for Political Studies. - The First International Leadership, International Leadership Academy, UN, 1997. - US Foreign Policy Making Seminar, Ann Arbor Institute, Michigan University, 1998. - Moslems and Europeans: Towards Better Coexistence, Emirates Center for Strategic Studies and Research, 1997. - Jordan and the Palestine Question: The Role of Islamic and Left Forces in Foreign Policy-Making, ITHACA Press, Reading, UK, 1997. - Confederation and the Final Settlement of the Palestine Question, Arab Institution for Studies and Publications, Beirut, Lebanon, 2000. - The Theory of cultural Attachment and its Effects on European - Islamic Coexistence, A paper presented at the Conference on Arabs and the West, the University of Jordan, June 4 - 6, 1998. 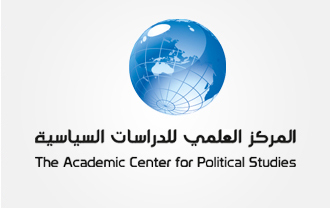 - Political Hurdles Facing European - Islamic Coexistence, A paper presented at the Conference on The Relationship Between Europe and Moslems, Al El Bait University in cooperation with Uppsala University, Lund University, and the Swedish Center, June 10 - 13, 1996. - The American Congress Library chose Moslems and Europeans: Towards Better Coexistence as the most important publication released in United Arab Emirates in the year 1998. - Conflict Resolution: Theoretical Frameworks. - Member in the Arab Society for Political Sciences. - International Institute for Strategic Studies, London.